The conference proceedings of our international and interdisciplinary Million Pictures conference in August 2017 are currently (May 2018) edited by Sarah Dellmann and Frank Kessler. 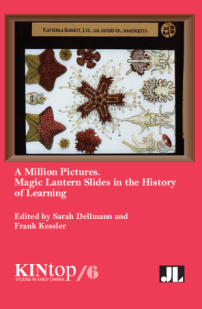 The edited volume A Million Pictures – Magic Lantern Slides in the History of Learning will be published in fall 2018 with John Libbey. We are very happy to announce that our publisher agreed to make the publication available Open Access after an embargo period of 12 months after publication.